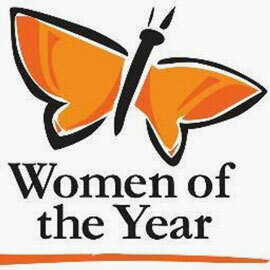 K-W Oktoberfest-Rogers Women of the Year recognizes and pays tribute to outstanding women in the community. This year, Laurier psychology student Jill Zitars and Laurier Professors Hind Al-Abadleh and Shohini Ghose have been nominated for awards. Zitars is nominated in the Young Adult category, which recognizes young women for leading by example and being a role model to her peers. Al-Abadleh and Ghose are both nominated in the Science, Technology, Engineering and Math (STEM) category. Al-Abadleh is an associate professor in Laurier’s Department of Chemistry and Biochemistry. She recently received funding for her research on air pollutants from the Canada Foundation for Innovation John R. Evans Leaders Fund. Ghose is a professor in Laurier’s Department of Physics and Computer Science, the director of the Centre for Women in Science and a 2014 TED Fellow. Ghose studies how the laws of quantum physics can be harnessed to transform computation and communication. The award ceremony will take place Thursday, October 6 at Bingemans Conference Centre with a reception beginning at 7 p.m. Read about the awards.